Incastreasures Peruvian Jewelry. We are producers in Peru, and we can provide the best prices and highest quality silver jewelry Free Shipping to you. Yes, free shipping worldwide. We specialize in the finest quality .950 silver jewelry including Pendants, Silver Earrings, Silver Bracelets, Silver Necklaces and Hammered Silver Jewelry and much more. The 950 Silver is silver of 95% purity and is very rare and exclusive because it is considered a non standard alloy. Always higher value than other Silver Jewelry. All handmade by skilled artisan exclusive made in 950 Silver, the most valuable , You will receive a gift with your purchase. All handmade by skilled artisan .Made with 950 Silver ,every designs is exclusive. The perfect gift for any moment, colors. You will receive a special gift with your purchase. - The perfect gift any season. All our Jewellery is guaranteed 950/1000 parts silver that is purer than the most commonly used 925 Sterling Silver (925/1000). When you wear jewelry from Peru, you are wearing the same jewelry that use the nobelty from the Inca Empire. 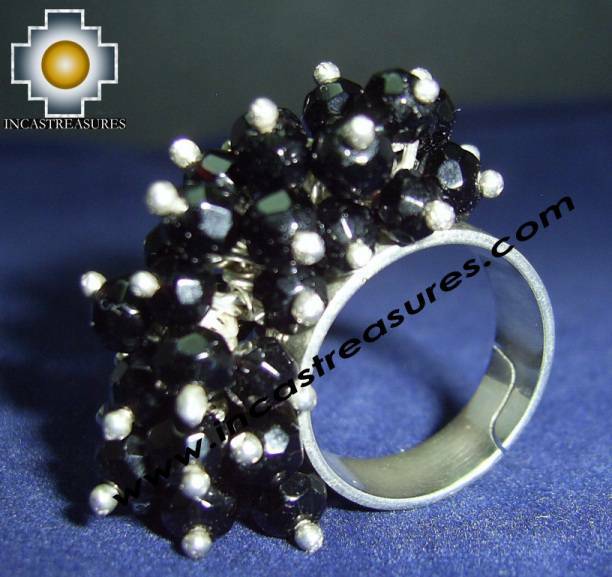 We also produce silver jewelry with Semiprecious natural and artificial stones. Each model is handmade, making each one unique.The uniqueness of each piece is part of its charm. Our catalog includes modern,bold designs, classical,different and unique. You will be amazed by the quality and variety of our designs,blending tradition with modernity. Please visit our site regularly for new products and updates in our catalog. We can manufacture our customers silver jewelry creations and ideas, just send us an email in the contact us page.